I found it - the "Default font" combo is (mis)placed in the "Widget" tab. I really don't understand why they didn't put it in the "Font" tab. Not the answer you're looking for? Browse other questions tagged fonts lxde or ask your own question. 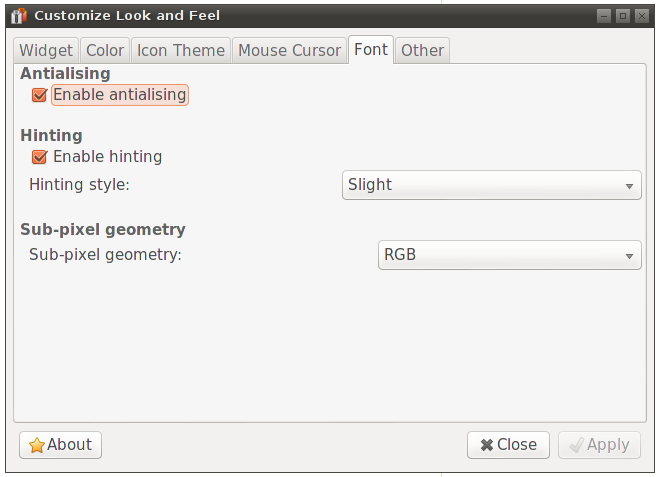 Set default font size in Emacs 23.4? How to set/change LXTerminal font for standard user?